In this world climate guide, we want to break down all major climate types and some of the well known destinations for each climate conditions. Traveling is fun when you also factor in the climate and weather. A gorgeous valley can be covered in clouds and a tropical paradise can easily rain on your dreams. Too much sun can burn your skin and damage your eyes, while chilly winds can freeze your motivation to go outside. 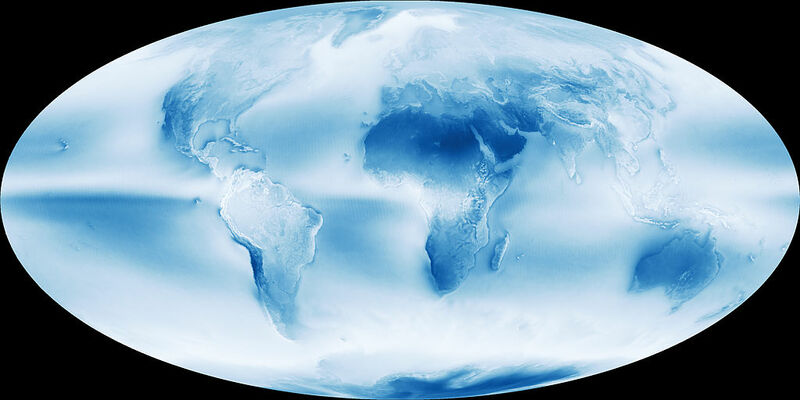 Photo NASA: Sunny vs. Cloudy days on average on Earth. Plan your vacation accordingly. This page is not a “best time to travel” recommendation guide. For detailed information on any destination (including “best time to travel” information), please read our FREE online Destination Travel Guides. Rainforests are characterized by high rainfall, morning mists and clouds, overall wetness and warmer (but not hot) temperature. The weather and climate is more or less the same all year round. 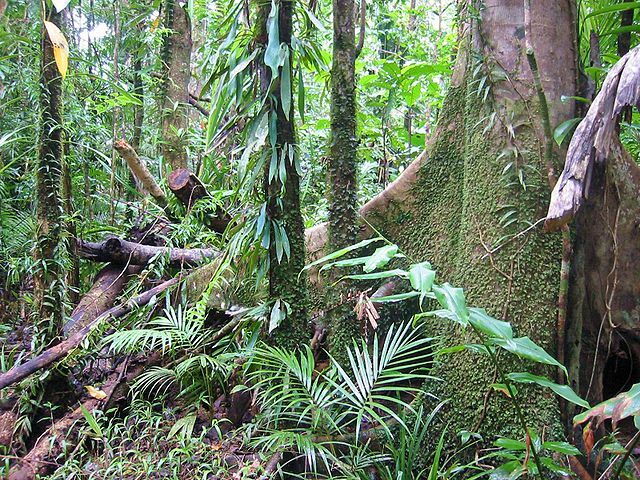 There may be many millions of species of plants, insects and microorganisms still undiscovered in tropical rainforests. Thing about it, around 50% to 75% of all living species are indigenous to the rainforests. And, they are also responsible for 28% of the world’s oxygen production! Tropical rainforests have been called the “jewels of the Earth” and the “world’s largest pharmacy”, because over one quarter of natural medicines have been discovered there. 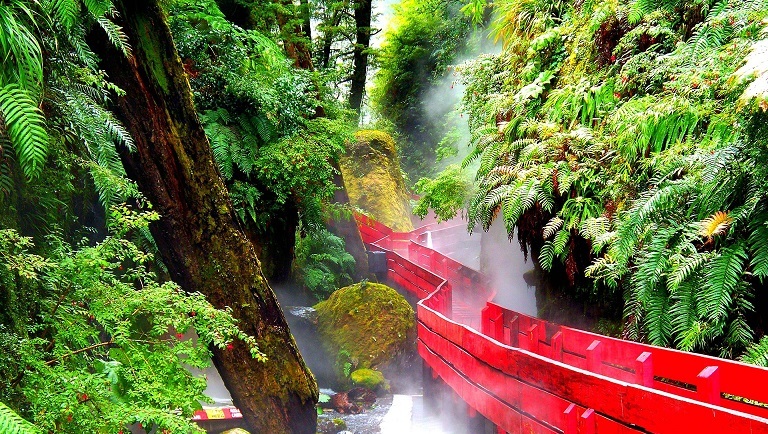 Temperate rainforests have wider rage of temperature fluctuation, seasonal changes, and rain fall. A monsoon is a seasonal prevailing wind which lasts for several months, ushering in a region’s rainy season. Regions within North America, South America, Sub-Saharan Africa, Australia and East Asia are monsoon regimes. A tropical savanna is a grassland located in semi-arid to semi-humid climate regions of subtropical and tropical latitudes, with average temperatures at or above 18 °C (64 °F) year round and decent amount of rainfall. These are great conditions for many of the mammals. The humid subtropical climate zone where winter rainfall (and sometimes snowfall) is associated with large storms that the westerlies steer from west to east. Most summer rainfall occurs during thunderstorms and from occasional tropical cyclones. 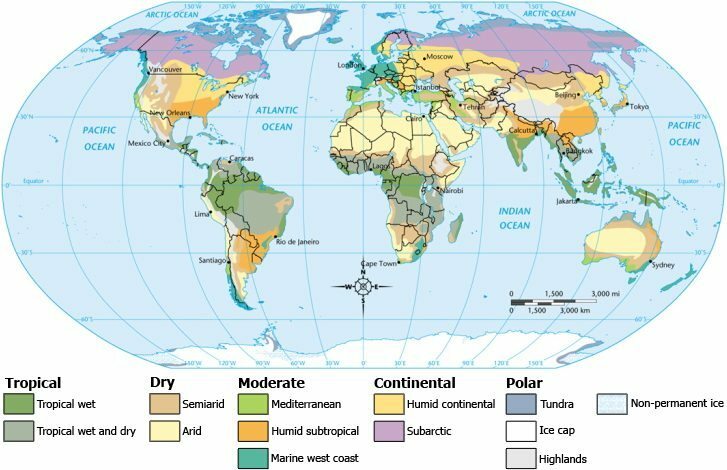 Humid subtropical climates lie on the east side of continents, roughly between latitudes 20° and 40° degrees away from the equator. An oceanic climate is typically found along the west coasts at the middle latitudes of all the world’s continents, and in southeastern Australia, and is accompanied by plentiful of rain year-round. The Mediterranean climate regime resembles the climate of the lands in the Mediterranean Basin. The climate is characterized by hot, dry summers and cool, wet winters. Places to visit to experience this ideal climate for maximum human happiness. A desert is a landscape form or region that receives very little rain. Deserts usually have a large variation in seasonal temperature range and as well as big differences in day and night temperatures. The highs or lows, depending on location, time of the day, and seasons, can be easily anywhere from 50 °C (120 °F) to below 0 °C (32 °F), mainly due to extremely low humidity. Also, please note that many deserts are formed by rain shadows, as mountains block the path of moisture and precipitation to the desert. So, not all deserts are covered with sand dunes. They can also be just dry and barren or flat with nothing in it. A polar ice cap (or polar ice sheet), is a high-latitude region that is always covered in thick ice. Ice caps form because these regions receive less sun light and therefore has lower surface temperatures.